What’s better than free coffee and breakfast sandwiches on a Friday morning? Not much, honestly. But even if you’re not a morning person, this monthly breakfast series is something to check out. 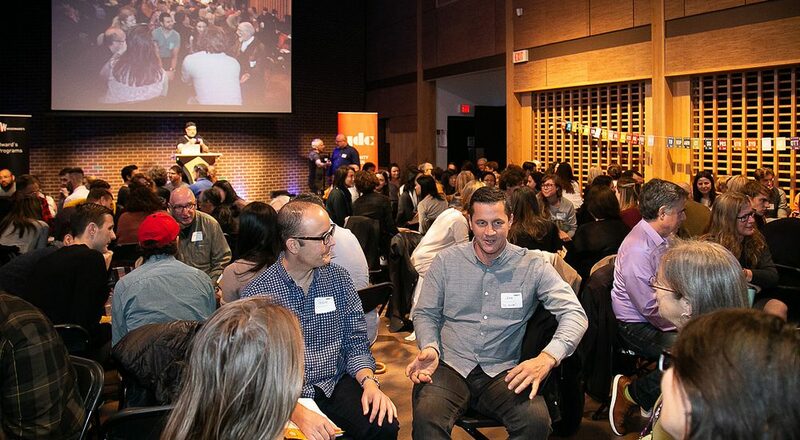 CreativeMornings pairs everyone’s favourite wake-up fuel with thoughtful discussion. How could you possibly condense such a large concept into a 45-minute talk? Gill is a Calgary-based entrepreneur, who wanted a career he could be passionate about, that was more than just a job. 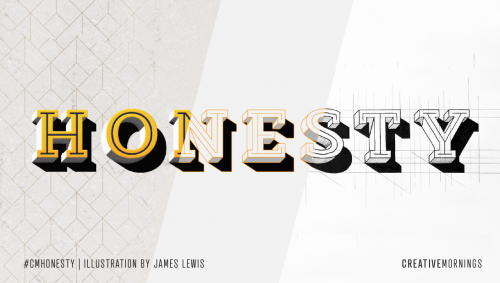 He is adamant that honesty is very important in both his business and personal life. 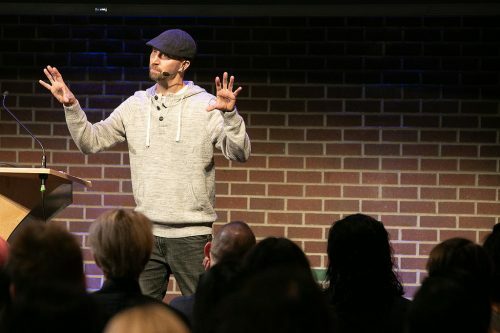 His quick-start guide to living a more honest life requires three things: confidence, connection, and community. Sounds pretty easy, right? I know, this goes against everything you’ve ever been told about confidence! But this method is tried and tested by Ryan himself. This is especially true in creative fields. According to Gill, creativity blossoms in the unknown, and dies when you fake it, because you’re too busy pretending to be something you’re not. Instead, surround yourself with creative, curious, honest people, because they’ll ask the important questions. “Leadership with honesty is what people will follow,” Gill promises. It’s better to attract other people who don’t know everything, but are willing to learn, than a bunch of know-it-alls with fake confidence. In order to make genuine connections, you have to be honest with yourself and others about your strengths and weaknesses. Gill illustrates this example during his talk. Sharing our quirks and flaws humanizes us. Isn’t it easier to connect with someone if they don’t come across as a perfect, unattainably beautiful demigod? 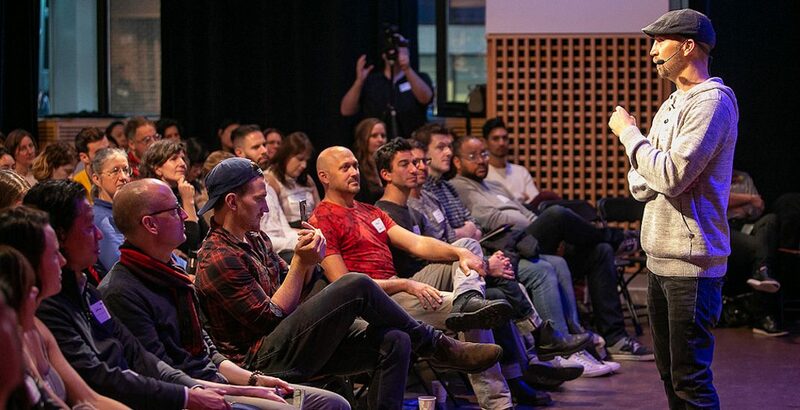 According to Gill, once you have the confidence to be honest with yourself, and make real connections by opening up and sharing your true self with others, then you have a real community. His definition of community is as follows: When you’re down, depressed, or lack the strength to reach out, your true community will already know – and will be running towards you to help. And when you achieve something great, they’re even more excited than you are. Honesty helps you make great connections, and build a community of people who are always in your corner. That’s one thing better than free coffee and sandwiches! Want more? 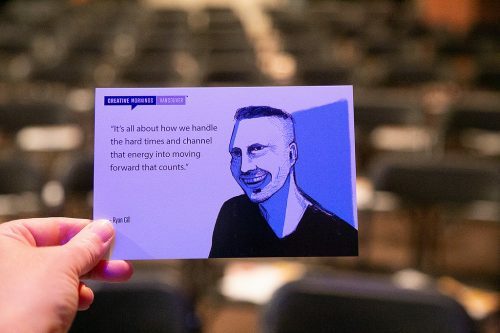 Watch Ryan Gill’s full talk here, or find more information about upcoming CreativeMornings here.